It can be argued that beer is one of the more preferred alcoholic beverages in Canada. For years, people have been slugging back brews from bottles, cans, and taps. Most notably, however, all these beers were being produced by major corporations. Pubs, bars, restaurants, and stores stocked up on the more popular brands. This trend has been drastically changing over the last couple of years, however. This is because the citizens of Canada have been turning to a different type of beer – craft beer. Craft beer refers to the brewing of beer by microbreweries. Most of the craft beer is locally made. This trend has been particularly popular in Montreal. This city that was previously known for its investment in beer is now recognized as one of the best places to get craft beer. Montreal is frequently touted as one of the best places to find the greatest craft beers. It is not difficult to see why this is. One of their most common local products, after all, is craft beer. The world might only just be catching up to this trend, but Montreal has been ahead of the curve for almost twenty five years now. This means that this city has an incredible amount of variety to offer in terms of craft beer. 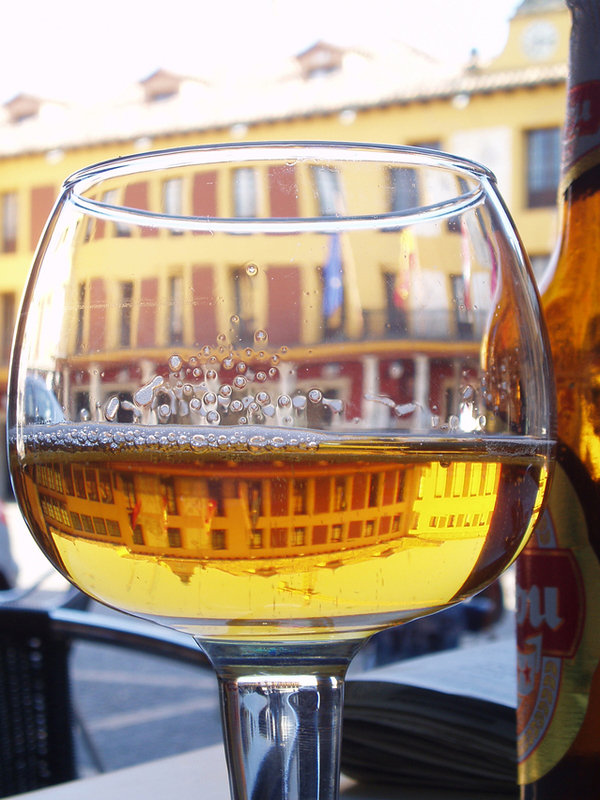 All of these various brews are showcased each year during the Mondiale de la Biere festival. This is a beer festival that is held every year in the city. It is estimated that there are more than two dozen breweries in the Montreal area, most of them being brewpubs. Here, you will not have to go searching for a craft beer bar, as there is practically one to be found on every corner. In Montreal, craft beer is not a passing fad, it is a way of life. Microbreweries and brewpubs are so popular that there is actually a tour for those interested in craft beer. The Brewpub Tour is a walking beer tour that takes craft beer aficionados to famous brewpubs. Enthusiasts stop at three of the best craft beer bars in Montreal - L’Amere a Boire, Le Saint-Bock, and Benelux. More often than not, the tour is sold out. See a list here. The Montreal craft beer bars stand out due to their individual, distinctive brews. No two flavours or beers are alike, and each has its own unique flavour. Of course, the sheer innovation involved in each brew is what draws crowds to these craft beer bars. This includes chocolate, coffee, peach, and even mushroom-infused beers. A visit to each craft beer bar is an entirely new experience. At these Montreal-based bars, you will be able to discover pubs that have been brewing for almost two decades. Some are newer, blossoming with the status of craft beer. The craft beer bars source local as well as imported ingredients to create the inimitable brews. Montreal has been producing exclusive craft beer for years now. Still, there has been a recent incredible surge in popularity of the drink. Now more than ever, people are opting to drink craft beer rather than mass-produced brews. One of the main reasons for this is the taste and quality. Some of these microbreweries are undoubtedly creating beers that are much higher in quality than beers produced by large industries. Furthermore, individuals are also becoming more particular regarding their taste buds. They are more willing to experiment with their drinks and food. This desire has now spilled over to their tastes in beer as well. This is a craving that has been eagerly satisfied by the craft beer bars in Montreal. The rest of the world might just be going through a phase with craft beer. In Montreal, however, it is a deep-rooted tradition. Long after the trend has faded, Montreal craft beer bars will still be producing some of the best craft beers around. Bank of Montreal (BMO) is one of the 'Big Five' banks in Canada. By market capitalisation, BMO is the fourth largest bank in Canada. By overall assets owned, BMO stands as one of top ten biggest banks in North America. The bank now operates as the BMO Financial Group offering a wide array of financial services. See here. BMO offers financial services in three main areas: personal and commercial banking, wealth management, and investment. The financial services are broken down into different “client services” categories depending on the operations. BMO's retail banking offers regular banking services to working class Canadians such as offering personal loans, rewards credit cards, and cashback credit cards - see here. Canadians can access commodities markets to invest in through BMO as well. Additional financial services offered by the bank include small business loans, line-of-credit loans, and travel services. Following the global recession in 2008, BMO's rating was downgraded by Moody's along with several other banks. As consumer debt rose following the crisis, BMO has begun to offer debt consolidation services - see here. Consumers can plan their personal finances with BMO as well to reach goals such as increasing their credit score. BMO also offers an array of savings plans for consumers. Businesses can also obtain small to large-scale loans from BMO. The bank offers various options to invest such as mutual funds, ETCs and GICs as well. BMO is a prominent bank in Canada that provides essential loans such as mortgages and car loans to Canadians of all income levels. BMO operates in Canada as a Bank of Montreal, BMO Nesbitt Burns, and BMO Capital Markets. BMO Harris Bank provides banking services in the U.S. The Canadian arm of BMO is a member of the Canadian Bankers Association and the Canada Deposit Insurance Corporation. The bank is also a registered member of Interac, Air Miles, MasterCard International, Cirrus Network for MasterCard users, and Diners Club North America. The U.S. arm of BMO is part of the Federal Reserve. BMO is considered the first permanent bank to operate in Canada. The founding of BMO dates back to June 23, 1817, when nine European-origin merchants signed articles that established the organization of the bank. When BMO was founded, Montreal had a population of less than 20,000. Quebec City was a port for wooden sailing ships. Toronto was still Indian country, and Ottawa was nothing but wilderness. BMO served the small urban settlements scattered throughout Upper and Lower Canada. The founding of BMO is closely tied to the origin of the Canadian dollar. Historians credit BMO for establishing Canada's domestic currency, which paved way for the country's economy to evolve from a bartering system to a sophisticated system of finance. Soon after BMO began operating, the bank issued a single currency in coins and bills, replacing the numerous foreign currencies circulating in the area. BMO would continue to issue its own money until 1942. BMO's early organization closely followed the Scottish system of banking. The Scottish banking system was considered unique for the time because a large central bank maintained multiple regional branches. After only a few months of operating, BMO opened branches in Quebec and Kingston, which was then a British garrison town. In 1895, BMO opened branches in Newfoundland, filling the vacuum left by the collapse of two commercial banks in the area. This is considered the beginning of branch banking in Canada. BMO slowly rose in prominence to become an iconic financial establishment in the modern era. In 1925, it merged with the Molson Bank. In 1977, the bank moved its operational head office to Toronto, while the historic Montreal building remained the legal head office. Today, BMO has restructured itself as a financial corporation worth $681 billion as of April, 2016. BMO now operates in multiple countries outside Canada as well.